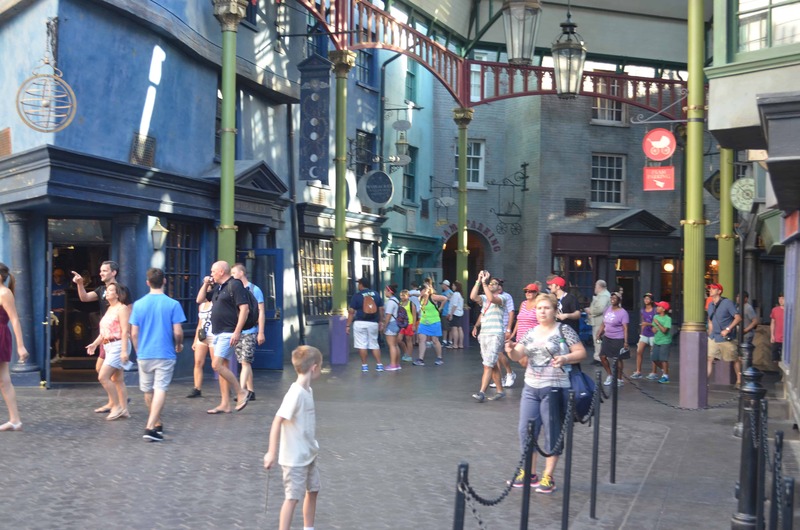 This review of the Wizarding World of Harry Potter is part of our Florida Reviews Special. 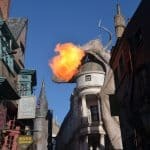 Universal Studios is was already a must visit theme park in Orlando and they’ve managed to add something rather special to the available attractions: Not one but TWO Harry Potter theme parks that are connected via a Hogwarts Express experience. If you’d rather see, rather than read, a review check out my video at the bottom of the page. 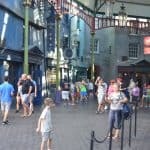 If you’re a fan of Harry Potter then this is a must visit experience, not only do you get some fantastic rides and get to feel like you’re visiting Hogsmeade and Diagon Alley, you also get access to a huge amount of merchandise, from the obvious stuff such as wands and robes, to a range of t-shirts, caps, drawing pads and cauldron mugs to name but a small few! 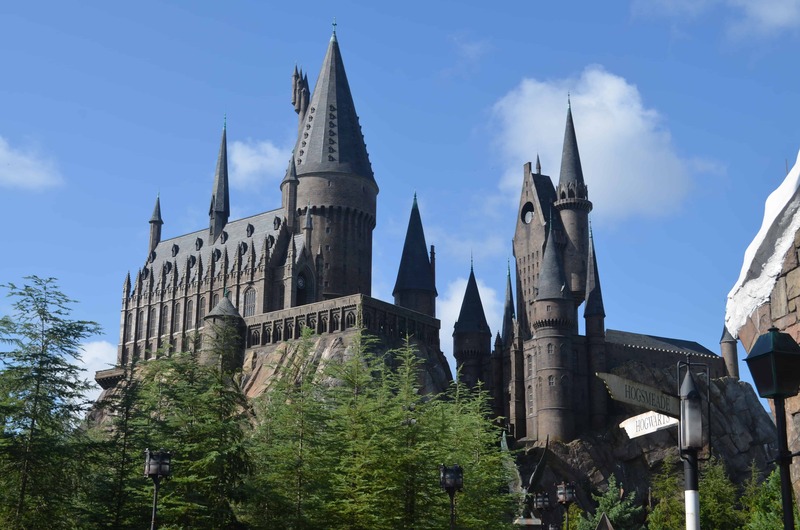 The older of the two theme parks, Hogsmeade is available on Universal Adventure Island, at the very top of the theme park, and is a recreation of the small village along with Hogwarts castle. 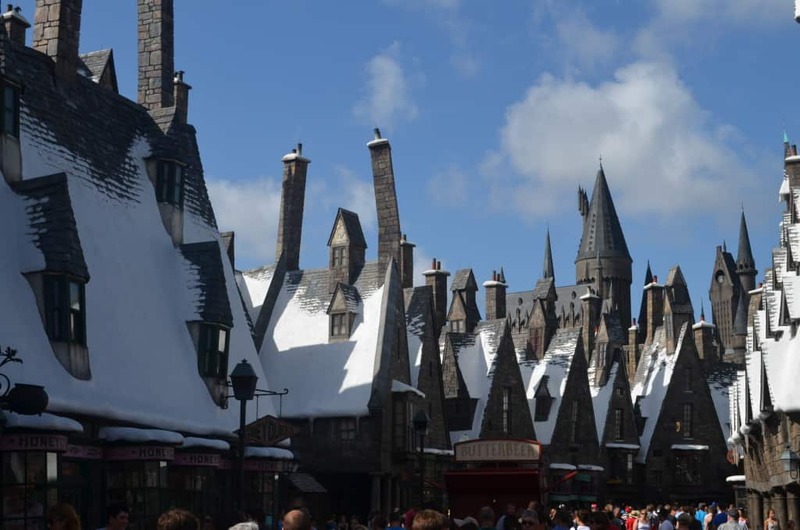 Aside from the Florida heat it really does feel like you’re stepping into the world of Potter at Christmas, with snow covered roof tops and smoke puffing out of chimneys. 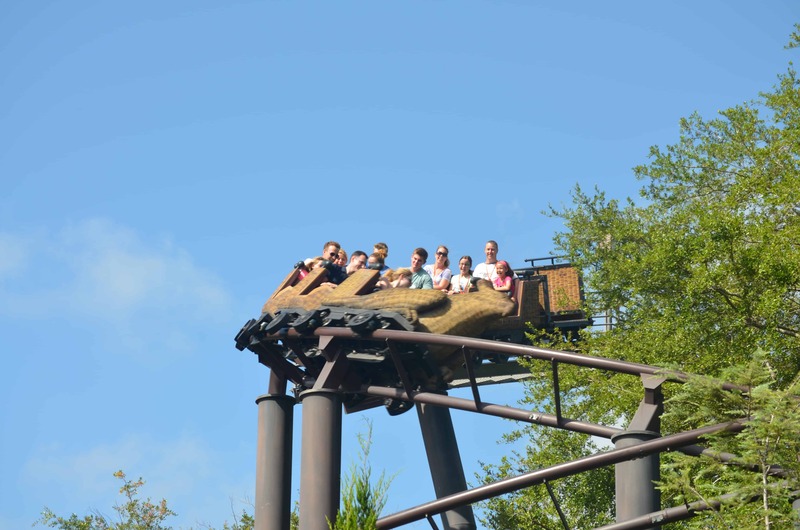 There are three rides in this part of the park: Harry Potter and the Forbidden Journey (in my opinion one of the best rides at Universal), Flight of the Hippogriff and Dragon Challenge. 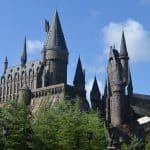 Forbidden Journey is located in Hogwarts Castle and there is lots to see and do while you’re waiting to get on the ride. The other two are roller coasters located out in the open. 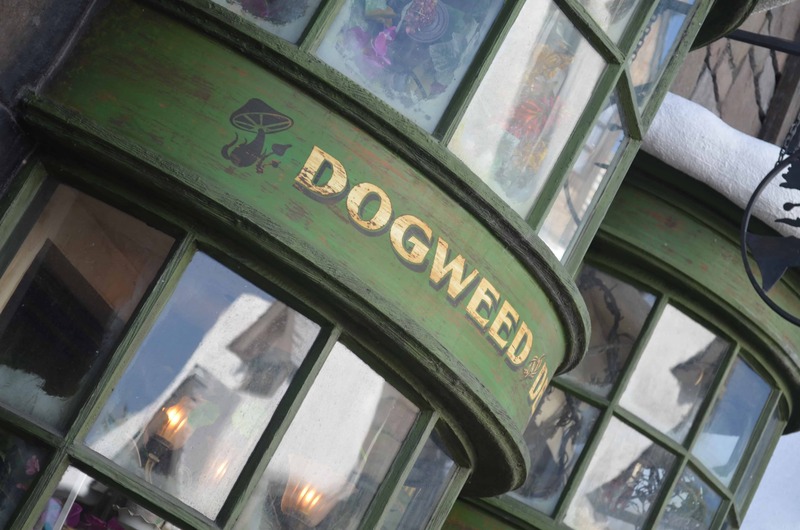 The level of detail in Hogsmeade is fantastic and means you spend a large amount of time just looking around at everything. There are lots of photo opportunities and staff, suitably dressed in various outfits, are very friendly and happy to take your photo to ensure you get everyone in shot. As well as rides you can also see live musical performances by the ‘Frog Choir’ a brilliant acapella group of student singers that help break up your day with a short performance (see the start of the below video for a short snippet). 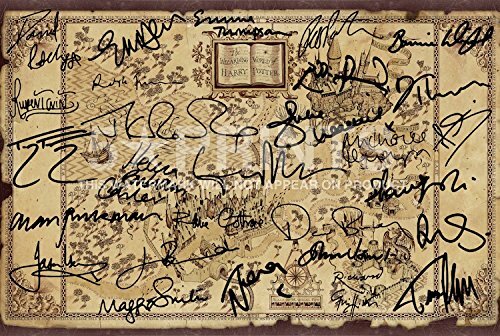 You can also visit Ollivanders, a mini show where you watch as a visitor is chosen to go through the wand choice with Ollivander, maker of fine wands since 382 BC. 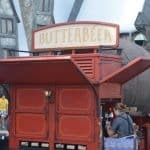 Snacks, drinks and meals are available, either from the small carts or via the Three Broomsticks, I’d have to recommend going for the American breakfast, very tasty and a nice change from a lot of the poor quality food available throughout the rest of the park. Being located at the very top of the Island of Adventure you’ll either head back out into the main park, which features Jurassic Park, Marvel Super Hero Island and the Cat in the Hat. 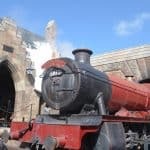 However, if you aren’t ready for your Potter adventure to finish there is another way out, and that’s to take a trip to Diagon Alley via the Hogwarts Express. 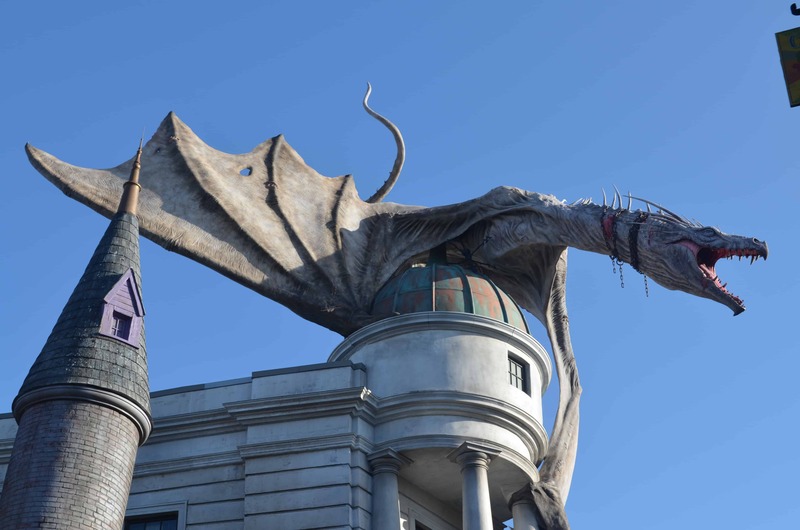 Diagon Alley is the newest addition and it continues with the impressive detail already present in Hogsmeade. 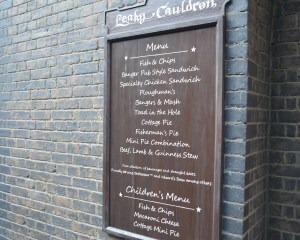 Located on the main Universal theme park access is either via the main park (via a brick wall of course!) or via the Hogwarts Express park to park ride. 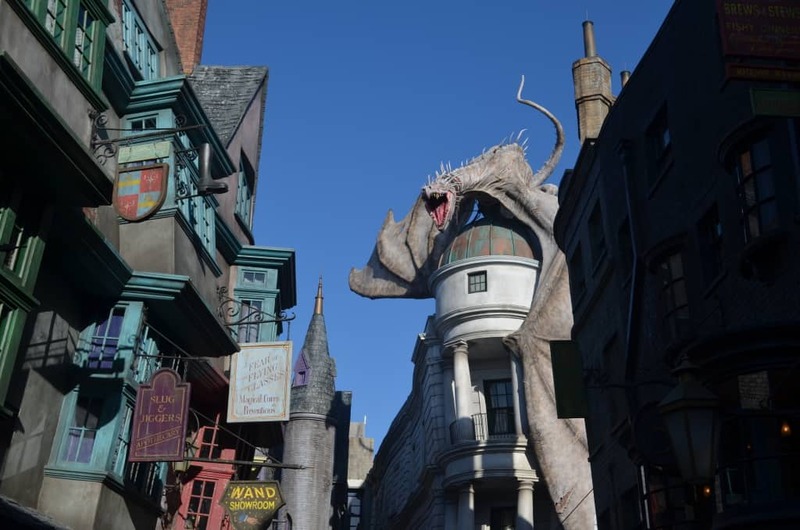 Although there is lots to see at Diagon Alley there is actually only one ride: Harry Potter and the Escape from Gringotts. 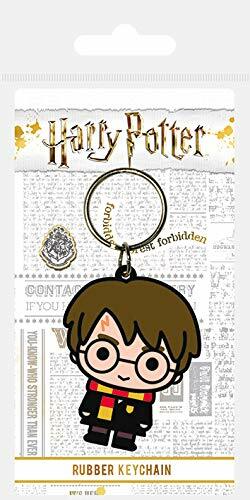 Or rather Harry Potter and the Mechanical Breakdown as everytime I tried to get on the ride it broke down, apparently a fairly common occurrence with one lady in the line saying this was the 3rd time she’d abandoned her attempt at getting on the ride due to a malfunction. 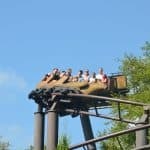 Search the internet and you’ll see a number of people have had similar issues, given the popularity of the ride this means you could be in line for several hours before being disappointed by a breakdown. By all accounts, when the ride does work it’s really good, but most people we spoke to thought the Forbidden Journey was the better ride overall. As with the Forbidden Journey, Escape from Gringotts is housed in one of the best structures on the park, Gringotts Bank. 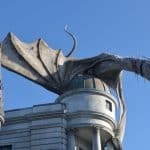 Situated at the end of two rows of shops it draws the eye as you enter from the main Universal park due to the huge dragon sat on the roof. 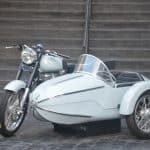 This looks really impressive and it has a rather cool (or rather hot!) trick up it’s sleeve, it breaths fire! This wasn’t something I was aware of and I happened to be stood under the dragon recording some footage when an unusual grumbling noise started happening. Little did I know this was to let visitors know to get their cameras ready. A few moments later there was a huge roar and I could feel loads of heat above me, looking up fire was being spat out in an impressive display. 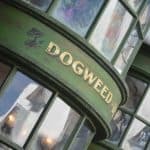 As with Hogsmeade, live performances are available throughout the day, with Celestina Warbeck and the Banshees providing a good excuse to listen to some good music while enjoying a Butterbeer. 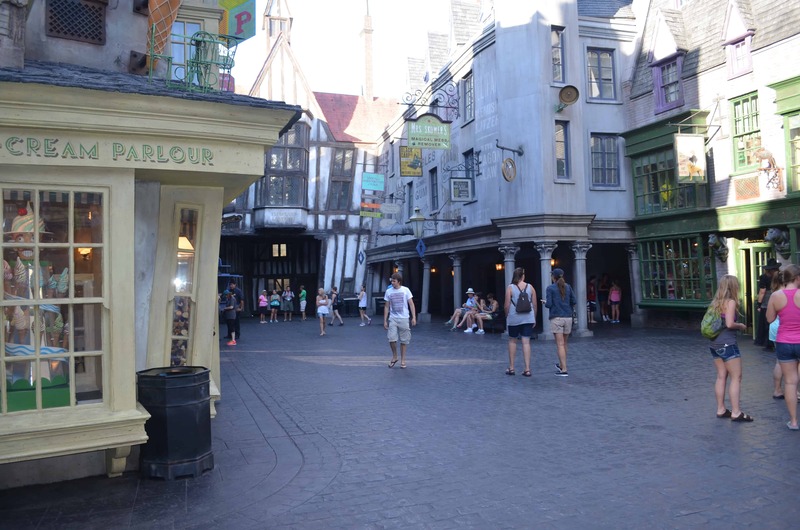 There are loads of shops to look at and the displays are fantastic, if you get one of the interactive wands you’ll be going round casting spells on shop displays to see what happens. If you fancy a walk on the dark side you can take a trip down Knockturn Alley, a sinister place with it’s own, dark, shop of goodies. 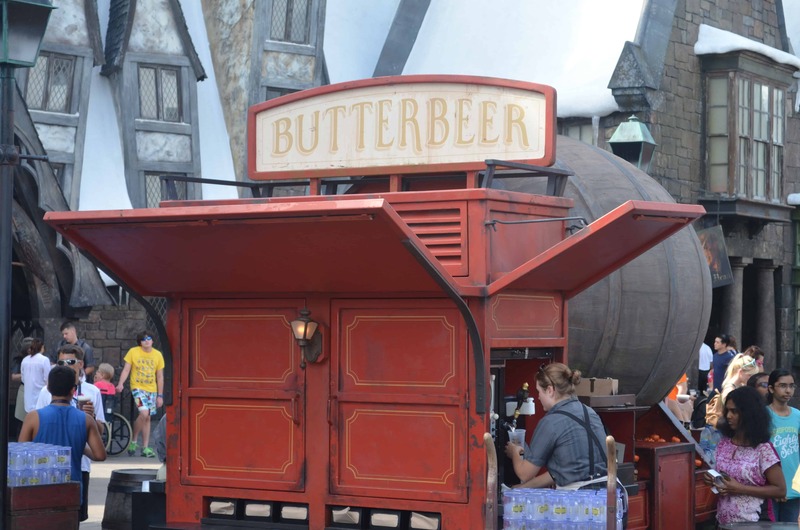 As with Hogsmeade there is a range of food and drink available, with ice cream proving a popular favourite in the Florida heat. 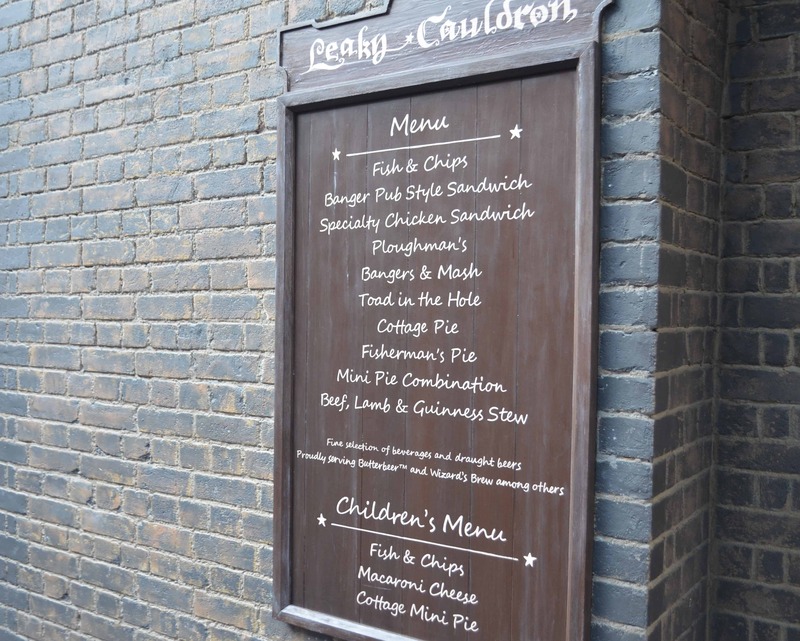 If you fancy sitting down you can dine in the Leaky Cauldron which offers a range of British classics such as fish and chips or cottage pie. 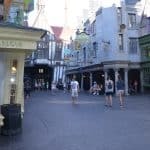 Located just outside Diagon Alley is the Knight Bus, a great little photo opportunity and a chance to chat to the bus conductor and shrunken head that hands from the rear view mirror. In this area you also get a replica London street Kinds Cross Station. 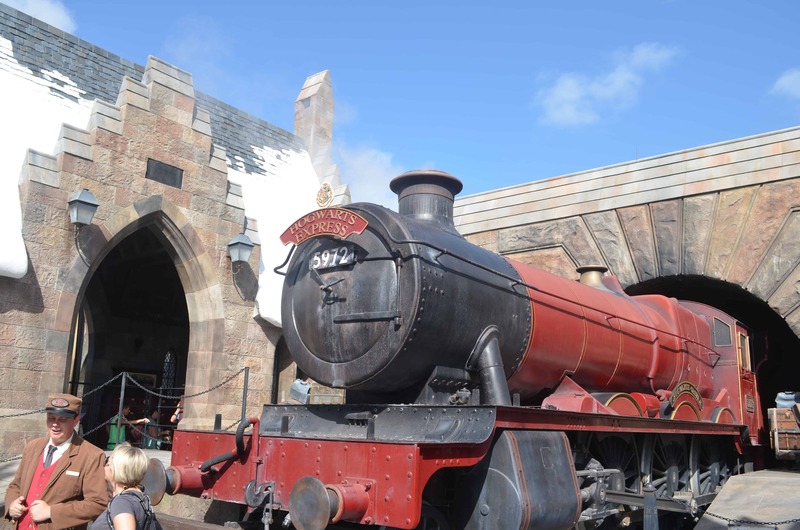 The station is impressive and again requires the park to park pass before you can enter as it leads to the Hogwarts Express trip to Hogwarts. Of course this being Harry Potter Kings Cross you don’t just find the right platform, no you need to go to platform 9 3/4! This is actually a simple optical trick that means when you’re in line people ahead of you appear to be walking through a wall, if you manage to go when there are few visitors it means you can get a good video of your friends and family walking through a wall. 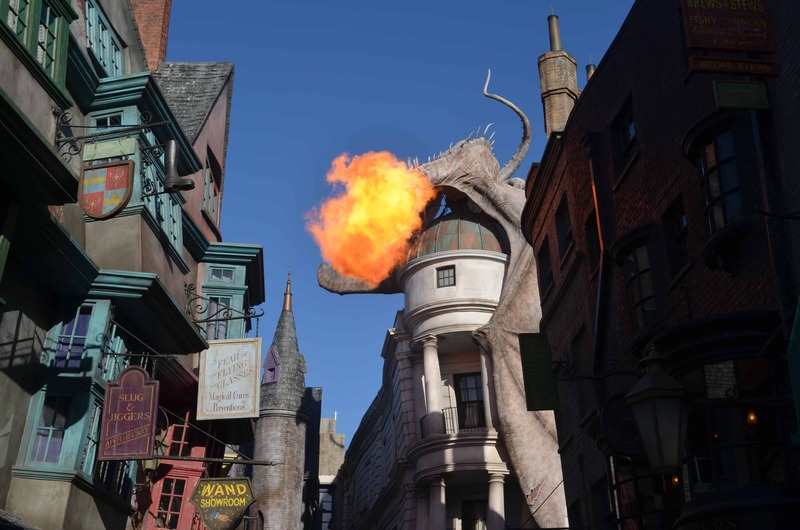 Be aware that as Diagon Alley is a recent addition to Universal it’s currently the most popular area and wait times, especially for Escape from Gringotts, are likely to be high. There is no express pass lane and if this is an area you really want to enjoy your best bet is to stay at one of the on site hotels and take advantage of the early park access that allows you entry and use of the park from 8am rather than 9am. A brilliant and simple idea, connect the two Potter parks with some appropriate transport, the Hogwarts Express! You’ll need a multi park pass to ride the train and it proves to be one of the highlights of the visit. Boarding the train you’ll enter a replica of the carriages seen in the film. Each fits about 6 people in and is closed off from the other carriages. Looking out of the window you’ll actually be looking out on to a screen which shows a little story as you travel between parks; The story is different each way so you need to travel twice to get the most out of this experience. 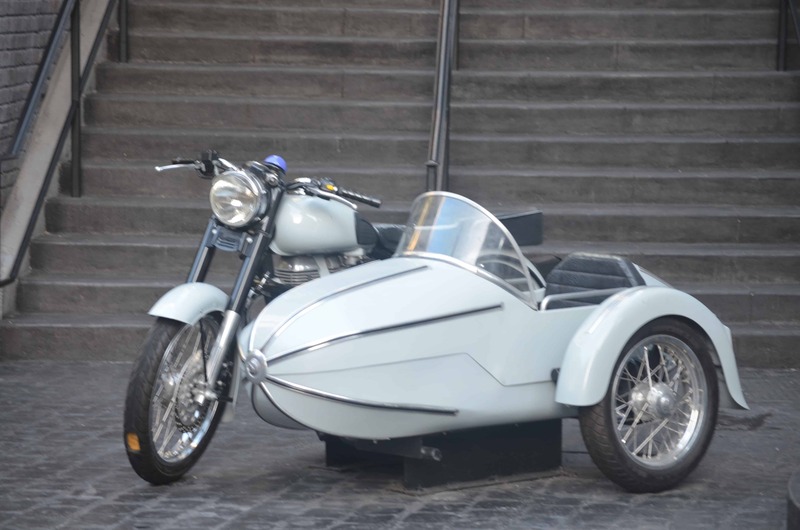 A brilliant touch is that the frosted glass of the carriage is actually also a screen and part of the performance. 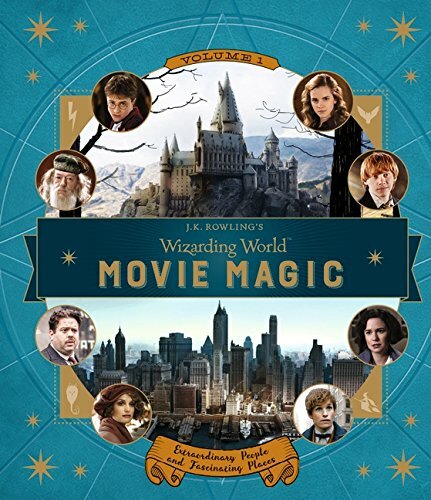 Without wanting to spoil the story it’s a fantastic part of the show let down by one small element: the voice actress used for Hermione sounds nothing like Emma Watson! If I were them I’d have reduced the amount of lines the chosen actress had to speak as it’s rather disconcerting when you’re wrapped up in the story to suddenly hear an unfamiliar voice. Avoid low quality & unoriginal copycats and buy the best. The Perfect Gift! A unique gift/collectible for yourself, friends and family of all ages. Ultra High Quality 12x8 inches (approx. 30cm x 20cm) heavyweight lab printed photo (NOT inferior A4 inkjet home prints). Presented in a clear protective envelope with no pricing information, making it a perfect gift choice or ideal for collectors!